(TibetanReview.net, May28, 2014) –It remains illegal in Chinese ruled Tibet to advocate the promotion and protection of Tibet’s linguistic and cultural heritage and there has been a spate of arrests of scholars, activists, artists, teachers and others and the closing down of Tibetan schools and coaching classes in recent years. 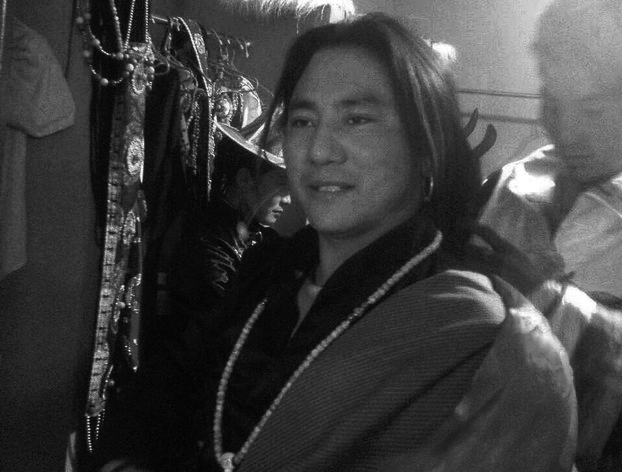 In the latest reported incident, a popular singer named Gebe was taken away by police in Zungchu (Chinese: Songpan) County of Ngaba (Aba) Prefecture, Sichuan Province, after a weekend evening concert on May 24 in which he performed a song exhorting the protection of the Tibetan language, reported Radio Free Asia (Washington) May 26. The report said China was fearful that the highly popular community organized Tibetan language classes being organized outside the Chinese education system in Tibet may stoke opposition to the Chinese rule. Gebe’s song, titled as ‘Not Yet Done’, themed on the strong feelings among Tibetans calling for the protection of their linguistic heritage, was reported to have been much applauded by the audience. Gebe, who belongs to Barkham (Ma’erkang) County, the location of the prefectural headquarters, was held by Chinese police waiting outside the concert hall, the report said. Appeals by fellow singers and concert organizers who tried to intercede on his behalf fell on deaf ears, the report added. The singer’s last DVD album, which included the popular title “Victorious Deities, Victorious Tibet,” was released in 2012. At least 10 popular Tibetan singers have been detained by Chinese police since 2012, the report said. They included Lolo whose song “Raise the Tibetan flag, Children of the Snowland” was seen as a direct challenge to the Chinese rule in Tibet. Some of them have been later jailed for up to six years.